Hey Everyone! It's Release Day over at Jaded Blossom! We hope you all have enjoyed our projects this week. 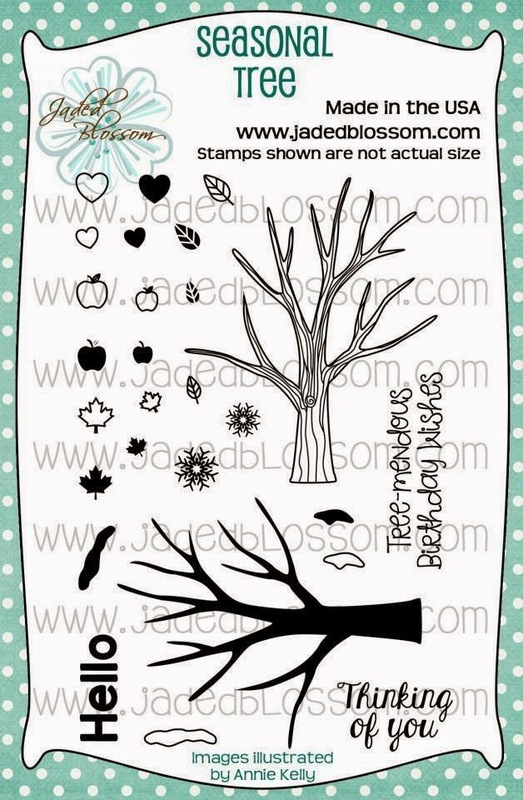 But as you know we have one more Stamp Set and our March Freebie. For our Freebie for the Month is Birthday Splatter! Here is what I created!!! 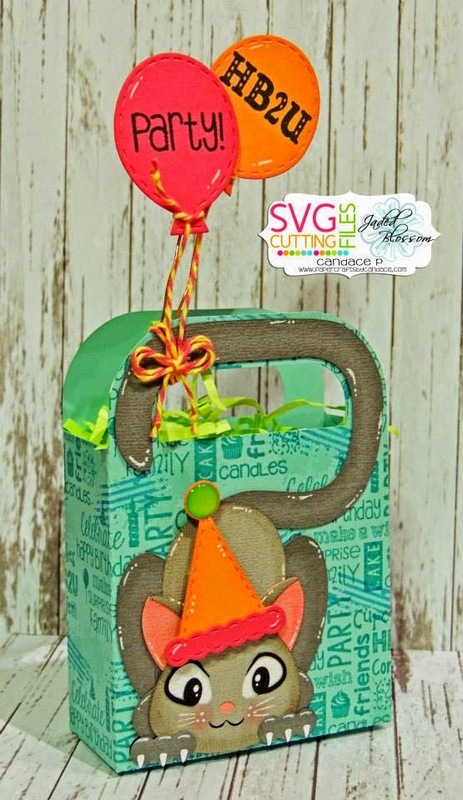 This new Kitty Bag is from SVG Cutting Files!! 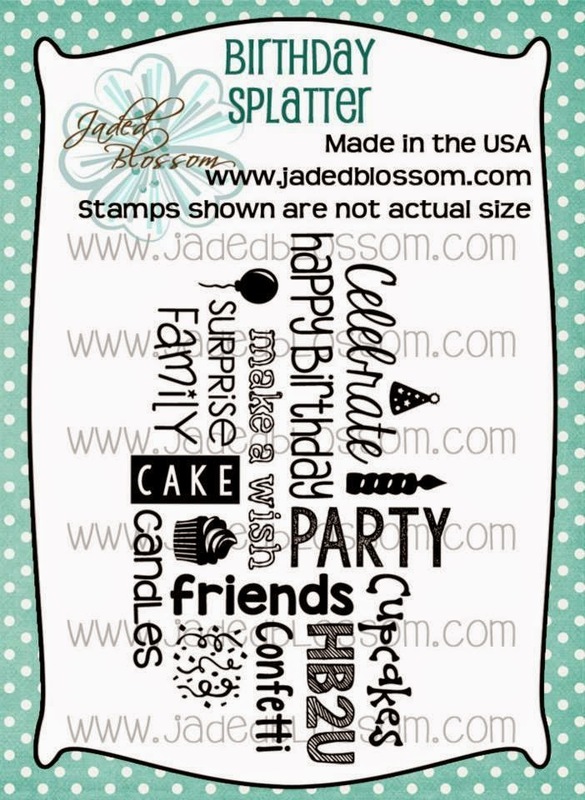 I added the balloons and the party hat, they are the Birthday Dies from Jaded Blossom and are not included with the bag. Here is a close up.. I used the Birthday Splatter for the background. I used Paint Splatters to help fill in the gaps. Here is a close up of the balloons.. I also used Trendy Twine's twine for my balloons. This is so super cute! That kitty is so fun....LOVE the claws and how you added the balloons! Too cute! What a darling treat box! 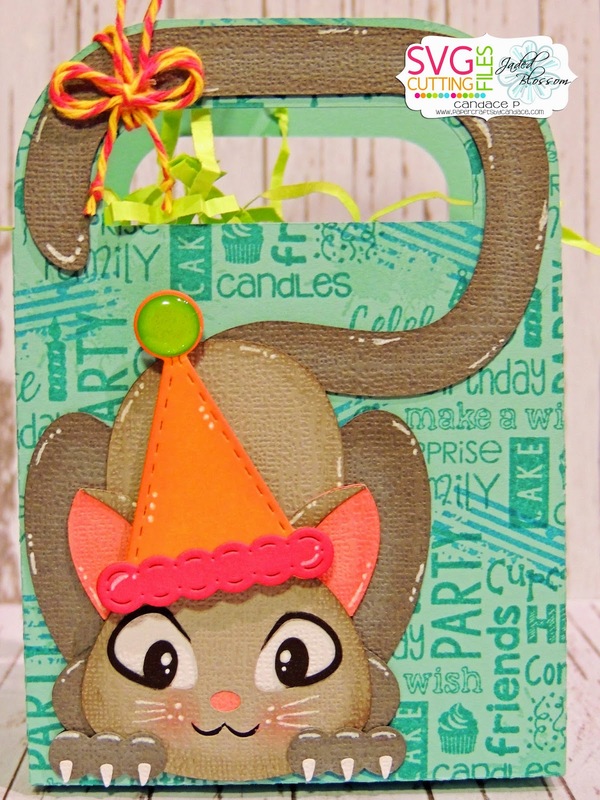 Love the stamped background and the kitty is precious! Love it! hehe..Love the face on the that kitty cat! such a cutie , the claws out and ready to attack ! 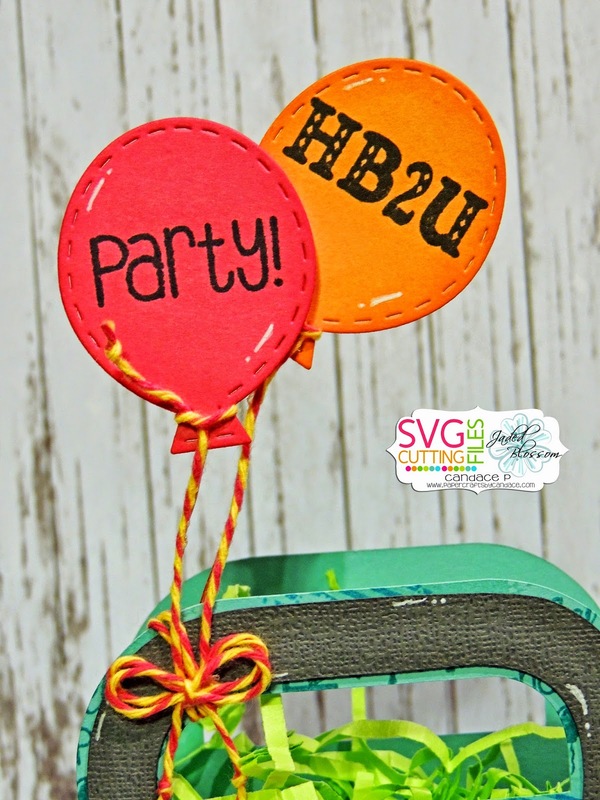 SVG Cutting Files Challenge: Birthday!